Annie Margaret Green, one of Henry Green’s sisters (see below), married the Right Rev T E Wilkinson. Dr Wilkinson served the church as a bishop for 44 years and at one time was bishop of Zululand, South Africa. He also spent 25 years as bishop of North and Central Europe. Annie died in 1878 and her bishop husband honoured her memory and that of one of their daughters, by installing the gates and steps leading to the church’s Early English west front. St Boniface Anglican church in Antwerp was built 1906–09, in the Early English gothic style, and it was consecrated by Dr Wilkinson, on 22nd April 1910. Bishop Wilkinson died in 1914, and was buried in Khartoum. 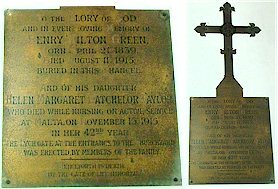 However, at his request, a cross was erected in St Mary’s churchyard to his memory and to the memory of the dear ones lying around this churchyard. The Celtic cross is a copy of the 8th century St Martins cross on the Island of Iona in Scotland. In 1582 Pope Gregory introduced changes to the Julian Calendar because of accumulative errors which caused "calendar drift". So in October 1582 the modifications were made which involved "loosing" 10 days. 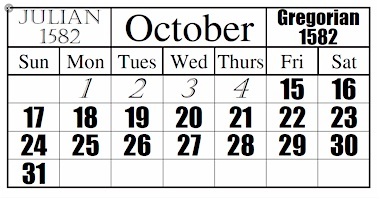 ie The Calendar jumped from Thursday 4th October 1582 to Friday 15th October 1582. He also decreed that the New Year would start on the 1st January and not 25th March (Lady Day). By 1582 the Reformation had separated us from papal practice and authority, so the changes were not made to the English Calendar until 1752 when the Gregorian Calendar was adopted. Richard Otway's executors were aware of the two different dating conventions in Europe, and that the attribution of a year to any date between 1st January and 25th March was potentially ambiguous. The executors therefore tell us that Richard Otway was buried on the 10th January in the year 1621 English style, which means the 20th January 1622 in both the Papal style (of the period) and in today's modern style. "I" means the physical I, "I in my flesh". The writer refers to the Resurrection of the Body, which in 1621, was a highly cherished article in the Apostles' Creed. At the last trump our bodies (even though destroyed by worms) would rise from the earth and be reunited with our souls. The Rev Thomas Orlebar Marsh was born in Felmersham House in 1749 and attended a school kept by the Rev Samuel Rogers at Chellington. It was intended that he should follow his father into a career in law, however being of a mild and unobtrusive disposition he preferred the Church. In 1776, at the age of 27, he was appointed vicar of Stevington, although he continued to live in Felmersham where he studied botany and fossils. He made several contributions to published works but never published his own work in book form. He studied Hebrew and poetry and made notes on local events and items of interest within the parish. 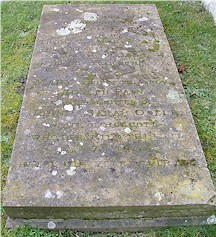 Orlebar Marsh remained vicar of Stevington for the whole of his ministry until he died on Christmas Day in 1831, at the age of 82. He had spent all his life living in Felmersham House and on his death the property passed to his wife who outlived him by only 10 days! William Edward Ludlow, her son by a previous marriage, inherited the property and in 1834 he sold the estate by public auction to Charles Smith. Thomas Abbott Green purchased Felmersham House (pictured above) in 1836, which was described as being a decent farmhouse with stables, coach-house, and having a barn. However, soon after purchasing the property Mr Green demolished the old house and replaced it with Felmersham Grange. On his death in 1855 the property passed to his widow and following her death in 1862 the property was inherited by her eldest son Henry Hilton Green. Thus began a period of wealth and expansion which brought employment to local people as servants, stable hands, estate workers and farm workers. 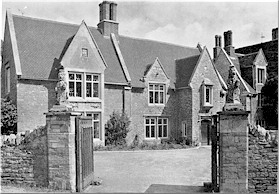 Felmersham Grange, late 1960's, after separation into two properties. Henry married Jane Bourne, an Irish woman, and they had eight children. His family inherited his love of sport and two of his daughters were internationals at hockey. He doubled the size of the Grange in 1886 by adding the eastern extension. Henry was very active in politics and public life; he was at various times Churchwarden, JP for Sharnbrook Magistrates Court, High Sheriff and Deputy Lieutenant of Bedfordshire. 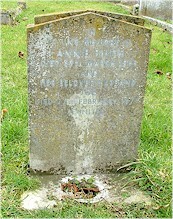 Henry Hilton Green died in 1915 at the age of 76 and was buried in the chancel. In his will he bequeathed a trust fund to provide help for the poor of the parish at Christmas. The Green family have their own burial ground in the north west corner of the churchyard which, at one time, was enclosed by railings and a gate. The Lych gate at the entrance to the churchyard, was built to his memory. WAS ERECTED BY MEMBERS OF THE FAMILY. Mrs Helen Margaret Batchelor Taylor was the daughter of Henry and Jane Green who served as a nurse in the First World war. She was a member of the Voluntary Aid Detachment, attached 4th Battalion, Bedfordshire Regiment. On 15th November 1915 she died whilst serving in Malta and is buried in Pieta Military Cemetery, Malta. 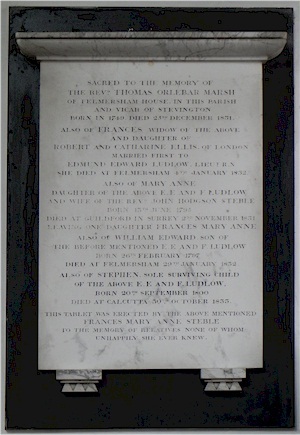 Her name is recorded on the war memorial and on a plaque in the church. 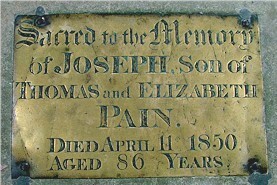 The above inscription, in the centre aisle of the church, is in memory of Joseph Pain (1764 - 1850). Joseph (1) was one of three sons born to Thomas Pain (2) and Elizabeth Pain. The others were William bapt. 1766 and Thomas (3) bapt. 1762. Thomas (3) eventually inherited his fathers farms and his eldest son was also named Joseph Pain (1797 - 1860) and it is this Joseph (2) who is featured opposite. Joseph Pain (2) was a gentleman farmer from yeoman farmer stock, whose family had been farming in Felmersham for several generations. The 1851 census for the parish was taken when the agricultural industry was booming and the number of people working in agriculture at a high point. Out of a total population of 520 there were nine farmers, 138 agricultural workers and two shepherds living within the parish. Joseph Pain was by far the most successful farmer, he farmed 1180 acres on three farms employing 76 men and boys, 3 sons, 3 servants and a nurse. In 1818 he contributed £50 towards the building costs of Felmersham bridge and was Churchwarden for 40 years. 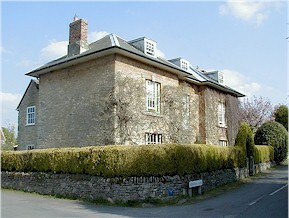 Joseph lived in the farm house known as “Majors”, which is now known as “The Manor House” in Memorial Lane, with his wife, Mary, and their eleven children. By 1840 he was sufficiently wealthy to build the elegant extension to his more modest farmhouse. The late Georgian style building on the corner of Memorial Lane and Church End, is a fine example of a vernacular house for the period. In 1853 Joseph Pain sold all his farming interests in the parish to Joseph Tucker, of Pavenham Bury, and then rented back. 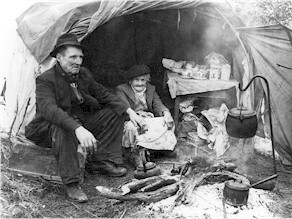 Gypsy Joe Smith and his wife Abigail, known as Annie, were well known in the parish and as they got older they adopted the parish as their home. They camped on the grass verge along Carlton Road and carried all their worldly goods in two trucks and a pram. Joe earned a living by working on local farms, laying hedges, collecting rags and bones and occasionally scissor grinding. They visited local pubs where Joe smoked his clay pipe, sharing it with Annie.